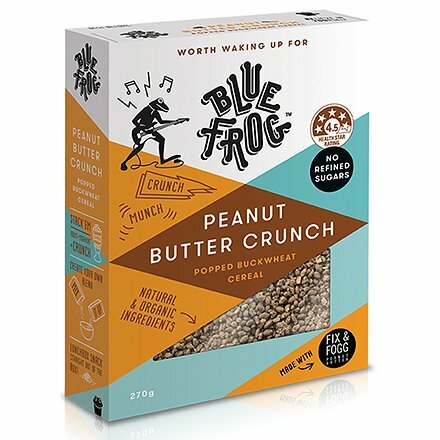 Powered by peanut butter, fabulous Fix and Fogg peanut butter to be precise, this box of crunchy organic buckwheat and chia goodness will have them clamoring for more. With no refined sugars and it’s all natural and organic ingredients. 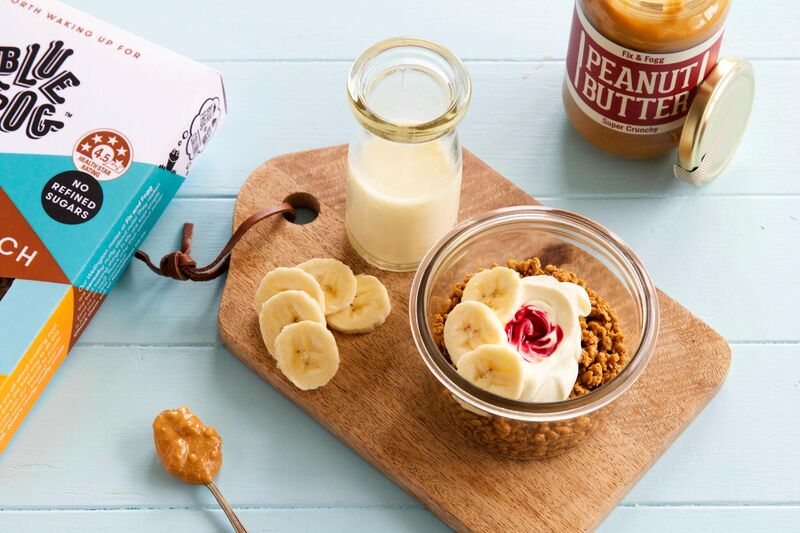 Vegan, all natural and organic ingredients, low salt, and no refined sugars. Organic buckwheat, New Zealand baby oats, organic orange juice, organic coconut, and Fix and Fogg incredibly delicious peanut butter! 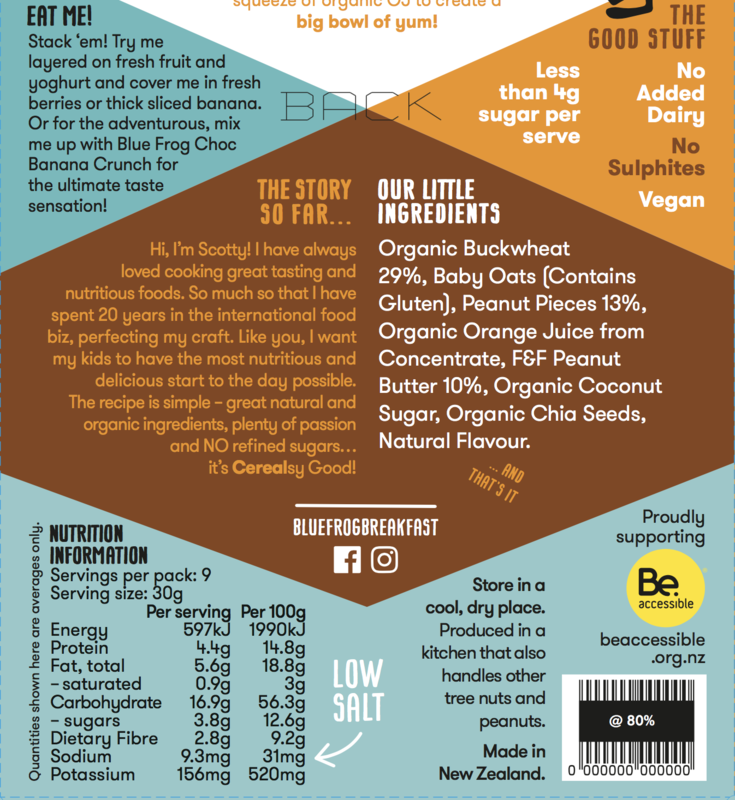 Organic Buckwheat 29%, Baby Oats (Contains Gluten), Peanut Pieces 13%, Organic Orange Juice from Concentrate, F&F Peanut Butter 10%, Organic Coconut Sugar, Organic Chia Seeds, Natural Flavour.…AND THAT’S IT!